Artist Organized Art Interviews Bonnie Marranca, Founder, Publisher and Editor of PAJ Publications/PAJ: A Journal of Performance and Art. The interview occurred in August of 2008 in Germantown, N.Y.
JS: How did you start PAJ logistically and why did you start it? BM: PAJ (www.mitpressjournals.org/paj) was conceived in 1975 by Gautam Dasgupta and me while we were studying in the doctoral program at CUNY-the Graduate Center, in New York. We were also critics for the SoHo Weekly News at that time. We had the academic background, but this very lively time in the 70s was a great period for video art, the beginnings of performance art, experimental theatre—such as the work of Robert Wilson, Richard Foreman, Mabou Mines. There were many so things going on . . . Meredith Monk’s work, Philip Glass, new playwrights. We were seeing all of this work, while at the same time having a very traditional theatre background in graduate school. In effect, we had both the traditional grounding and the new aesthetics that we were grappling with as critics. So you could say that we were studying the history of theatre and the repertoire at the same time that the new work was offering its critique. It also gave us the possibility of having, at our fingertips, the scholars and translators who were really knowledgeable about the dramatic repertoire and the history of theatre. At the same time we came to be friends with several generations of artists in so many different fields. We were not happy with the criticism that was in the major theatre journal of the time, The Drama Review, because it was very descriptive and not analytical. The coverage in The New York Times and comparable magazines and newspapers wasn’t very challenging. There were new art forms, and new ways of making theatre that were really not sufficiently understood or addressed. We had a different vision of theatre and of criticism at that time. We thought we could make a journal that could become involved with new forms of writing and could deal with the new performance aesthetics as well as having the commitment to dramatic literature. Between the two of us, Gautam and I found a printer, learned editing, production, and worked on marketing, sales, and distribution. We quickly had our own typesetting equipment and did everything in-house. So, from the start we were pretty self-sufficient. We began to hand out flyers at theatres, and worked on getting mailing lists and subscriptions in the universities and in libraries. That’s essentially how we started. The publishing house was never part of any university or organization that provided money or staff. JS: Can you describe the development of PAJ, and its later involvement with Johns Hopkins University Press and MIT Press? BM: We began to publish the journal and set up a non-profit 501(c)3, by the time we had published the first issue, in May 1976. Then, three years later, we began publishing books, and called the publishing house PAJ Publications. The journal was then known as Performing Arts Journal (the name was changed in 1998 to PAJ: A Journal of Performance and Art) We went along this way for quite a while and continued to publish books of plays and books of essays; the journal featured international coverage in essays, interviews and dialogues, new writing, performance reviews and festival reports. There was simply so much material and so many interesting things to cover that we felt we couldn’t contain it in a journal three times a year. So, we started on books and we had many of the same authors move from the journal to books as well. left: At JFK Airport with German playwright Heiner Müller. right: In London, 2009, at a PAJ event featuring Meredith Monk. About ten years later, in the late-eighties, we made an agreement with Farrar, Straus and Giroux, the very highly regarded literary publishers, to distribute our books. That lasted for three years. One of the reasons we went to them was that we wanted to start publishing fiction. 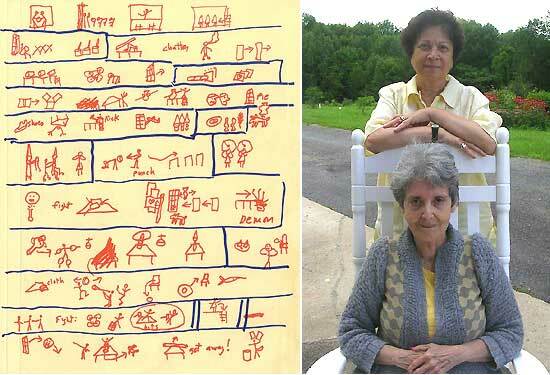 We tended to do fiction of the playwrights we knew, like Ken Bernard and Harry Kondoleon. The late-eighties was a period of great difficulty, with the so called “culture wars” and funding controversies. The tide had turned against heavy support for experimental theatre and the downtown scene, so we knew we had to figure out a way to safeguard the press. JS: What is the editorial premise of PAJ? BM: PAJ Publications was founded to publish, promote, and support new work, lost or forgotten works of the past, and to develop a very rigorous idea of criticism. By that I don’t mean theory, but criticism and fine critical writing—that’s what I think PAJ has been known for. In addition, there is the publication of new American drama and works of translation. home in Maine, a few years before her death in 1987. 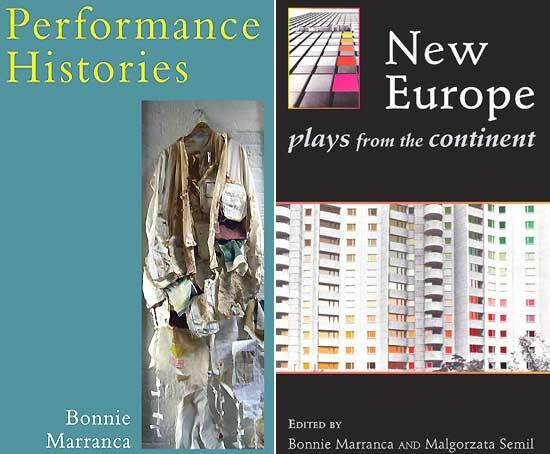 Looking back over three decades of books and journals, by now we’ve published over one thousand plays and performance texts, translated from twenty languages. We’ve published about one hundred and forty books and ninety journals so far. PAJ Publications is one of the major play publishers in the English-speaking world. We’ve always held the line when so much of academia and the world of the arts moved strongly toward theory. I believe very much in the primacy of the artwork, and the experience of the writer or critic, so I am not interested in applied theory. I don’t consider PAJ an academic journal. I believe it should be a kind of fine literary writing grounded in knowledge of the field and the experience of individual works. That’s been true for most of the history of the journal. Our format has been a combination of essays, interviews and dialogues, plays or performance texts, festival reports, reviews of performance. When Performing Arts Journal changed its name a decade ago to PAJ: A Journal of Performance and Art, it was because I wanted to have theatre and visual arts move closer together in the journal. The art world was continuing to do more performance, there were installations, video, media, photography, and all kinds of things that could be looked at in terms of performance and spectatorship. We were already covering, theatre, dance, and music. featuring artwork by German artist Bernd Trasberger. When we started the journal, what constituted theatre or performance was rather a small world considering where the notion of performance went in thirty years. Dramatic literature is no longer the center of study in theatre. People don’t have the same interest in playwriting, but are more interested in performance. In the twentieth century, there are two histories of performance, one from the theatre world, and one from the art world, so that if you are in an art department, you study a history of performance that’s entirely different from what you would study in a theatre department. I’m trying to bring them closer together within the journal. A larger, more comprehensive history of performance ideas, that’s my main goal, and it has been for the last ten years. 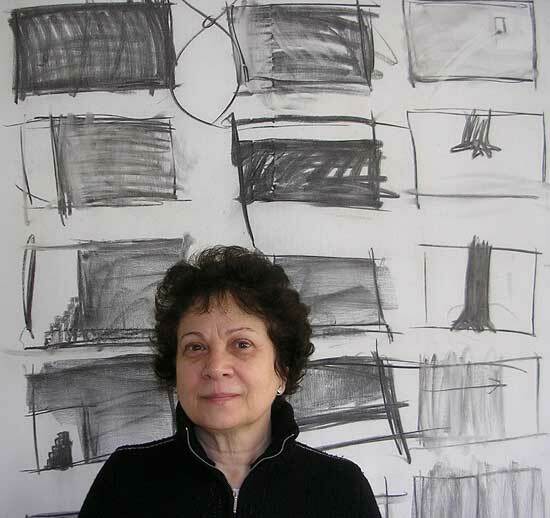 Bonnie Marranca standing in a Richard Serra sculpture. What is the release schedule of the journal? How is the print and online subscription model structured? How do you find writers and how do you acquire readers? Bonnie Marranca (www.bonniemarranca.com) is publisher and editor of the Obie Award-winning PAJ Publications and PAJ: A Journal of Performance and Art (originally called Performing Arts Journal), which she co-founded in 1976. She has written three collections of criticism: Performance Histories, Ecologies of Theatre, and Theatrewritings, the recipient of the George Jean Nathan Award for Dramatic Criticism. Among the many anthologies she has edited are: Plays for the End of the Century; American Dreams: The Imagination of Sam Shepard; and The Theatre of Images, one of the seminal books of contemporary theatre. Her writings have been translated into fifteen languages. 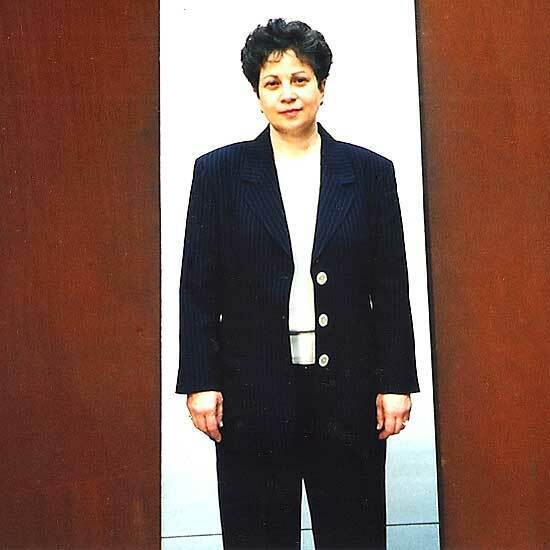 She is a Guggenheim Fellow and Fulbright Senior Scholar who has taught in many universities here and abroad, including Columbia University, Princeton University, NYU, Duke University, the University of California-San Diego, Free University (Berlin), and Autonomous University/Institute for Theatre (Barcelona). She is Professor of Theatre at The New School/Eugene Lang College for Liberal Arts. PAJ (www.mitpressjournals.org/paj) is admired internationally for its independent critical thought and cutting-edge explorations. PAJ charts new directions in performance, video, drama, dance, installations, media, film, and music, integrating theater and the visual arts. Artists’ writings, critical commentary, interviews, and a special review section for performances and gallery shows are highlighted along with plays and performance texts from around the world. New features include Performance Drawings portfolios and the Art, Spirituality, and Religion ongoing series. In 2009, the journal celebrates its 33rd year of publishing.